The majority of today’s buyers are looking at properties on their mobile device. 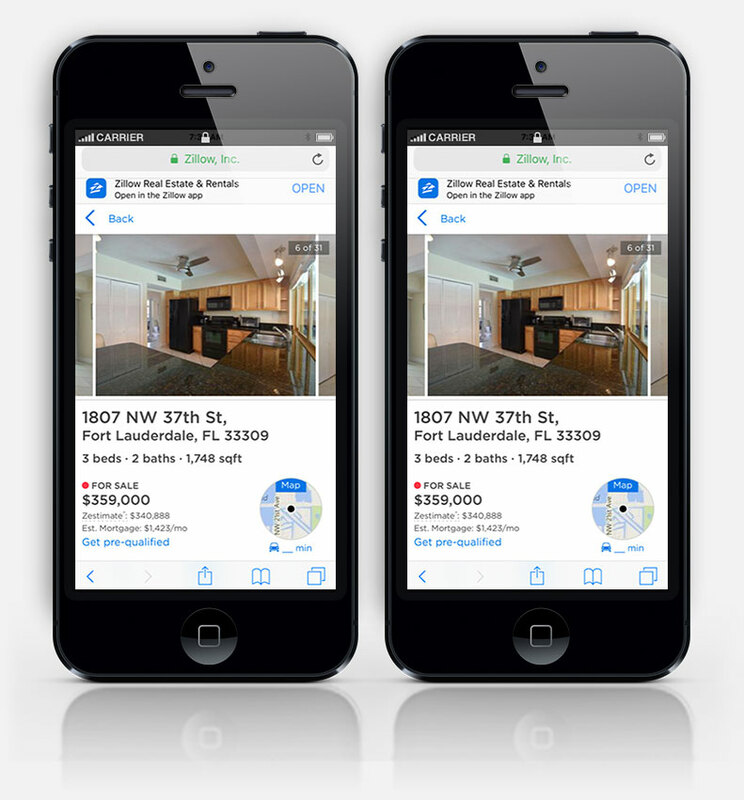 In fact, 77% of all home viewings are now on mobile devices. This has permanently changed the way to correctly market your home. All images are small on mobile devices. Therefore, any kind of décor beyond what is absolutely necessary just appears to be clutter. This could discourage a buyer from wanting to view the property in person. Technology keeps getting smaller and faster. This brings de-cluttering to a whole new level of importance! For example, the images here show the same kitchen decorated (on the left) and not decorated (on the right) the way it would appear on a phone. The small images cause the decorated kitchen to look cluttered, and clearly do not show the home in its best possible light to prospective buyers. You don’t need to buy “new things” to sell your home and make it look nice. The opposite is normally true! Most sellers need to “edit down” what they have. Get rid of unused furniture and large items that you don’t plan on moving. The rooms will actually look larger, especially on mobile devices! For additional information please visit our How to sell for more section. Your home deserves its own website. 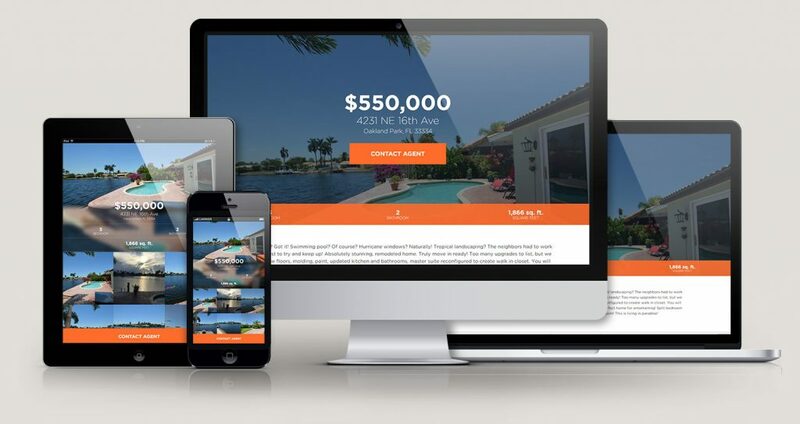 Let us build you a website where buyers can ditch the distractions found on other real estate websites and focus on what makes your home special. Remember, we don’t just put your home on the internet, we serve it up on a silver platter! Here’s an example of one of our individual property websites. All of our websites are extremely mobile-friendly. Whether it’s a website for an agent, an office, or your property. We understand the importance of marketing correctly on the internet. Our goal is to get your home in front of as many buyers as possible, and to present your property in its best possible light. 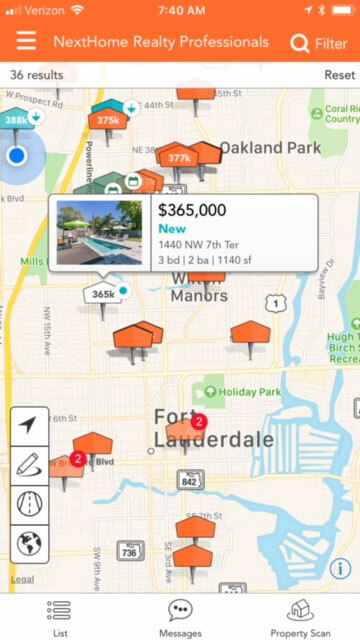 Buyers LOVE using the NextHome mobile search app. It has tons of cool features and makes finding your next home easy! He will be happy to answer your questions and schedule a quick preview your home – no obligation! Or to begin the sales process just fill out the form below.